This weekend I headed down to Miami with the Dicks and Nanton team (DNA) to attend the 37th Annual Suncoast Emmy Awards for two of our recent documentaries, “Esperanza” and “Casa Hogar.” For more information on how you can help, click here! The IMDB for this film can be found here! Are you looking for a Emmy nominated videographer or photograher for your upcoming real estate shoot? Whether it be a commercial, industrial or residential, I have all you need to get you property looking great in photos or video and can deliver it to you fast and clean! Some of my gear includes a Canon 7D, HPX170 HD camera, shoulder mount, tripod, lav mics, shotgun mic, boompole, 12 FT jib with small monitor, 2 Softbox lights and stingers. My phone number is (772) 530-7053. HD Quality. Call today! This weekend I shot a short film written and directed by Vincent Conti called Restless Sleep. It’s about a young woman that comes home from a long day’s work and finds her parents have decided to go on a last minute vacation, leaving her home alone, or so she thinks. The shoot itself was smooth and we got over 60 shots accomplished in three nights. I’m looking forward to seeing the final product of this interesting script. The screen grabs above are of the talented actress/singer Miracle Sims. This week I headed up to Washington, DC with Nick Nanton and a small crew to interview 20 small business owners from across the country on their lessons, views and goals for achieving “The New American Dream.” We got to DC early Wednesday morning and checked into the Willard, a historical hotel originally built in 1816 and restructured in 1901. The hotel has housed some of history’s greats such as Abraham Lincoln days before his inauguration and Martin Luther King right before his march on Washington, giving him time to write his “I Have a Dream” speech. That night I went out with fellow filmmaker Amardeep explore the city for good shot locations and wasn’t in the least surprised by all the tourists and security personnel still out and about. It was interesting that at 10:00PM there were still almost 500 visitors hanging out on the steps on the Lincoln Memorial. The next day we had a quick and early breakfast then all loaded up on a partybus to shoot intros and b-roll at different monuments across the city. Even with permits we were getting grilled by police and secret service people every 10 minutes. We finished around 1PM and had lunch back at the hotel. Amar and I spent the rest of the day setting up a room for interviews. We woke up early Friday morning and shot interviews for almost 10 hours strait. Washington, DC was a very cool place to visit and one day I hope to go back as a tourist to learn some interesting facts about our country’s history. Above is a screen grab of JW Dicks, Lindsay Dicks, Nick Nanton and Greg Rollett of the Celebrity Branding Agency standing in front of the Washington Monument. Today I headed down to the Amway Center with ICPlaces sports and entertainment host Carson Ingle to cover the 2011 Celebrity Mascot Games. The event had four teams of six mascots representing different team colors. This 19th annual charity event brought in a crowd of 15,000 parents and kids to support their favorite mascots from across the US and raise money for the New Hope for Kids Charity. Their mission is to bring hope, healing and happiness to children and families suffering from grief, loss or life-threatening illnesses. To date they have granted more than 3,000 wishes to children in Central Florida. 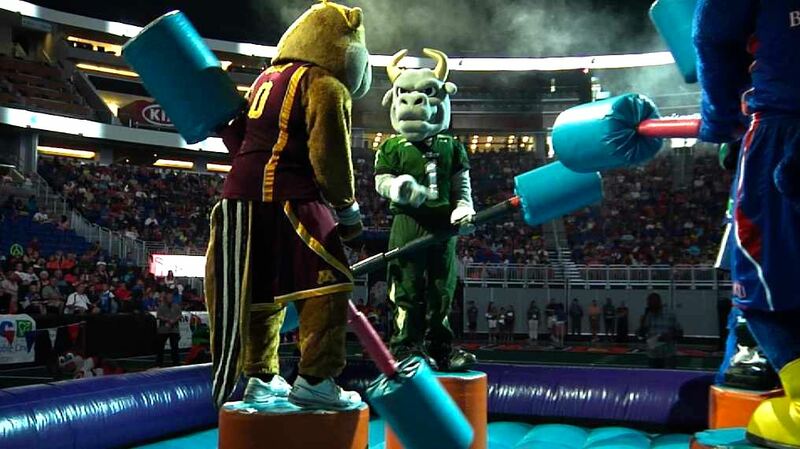 Above is a screen grab of a four way joust round with USF’s Rocky the Bull standing center, representing the green team. Today I rode to Tampa with former Jacksonville Jaguars wide receiver Cortez Hankton to shoot a behind the scenes video of his interview with Brighthouse Network Sports about his project called “BlackIceConcept,” a group dedicated to helping young minority athletes excel in making a presence in winter sports and preparing them for the 2014 Olympics in Sochi, Russia. 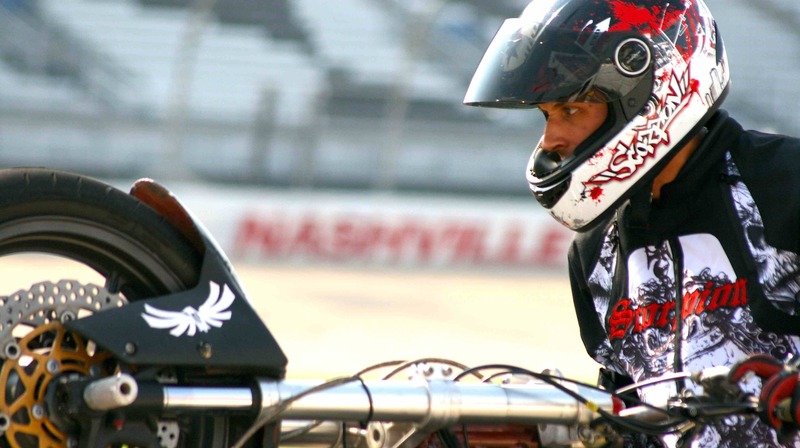 The BIC program is designed to support, develop, and subsidize these athletes with the purpose of introducing them to the sport of bobsledding and skeleton. 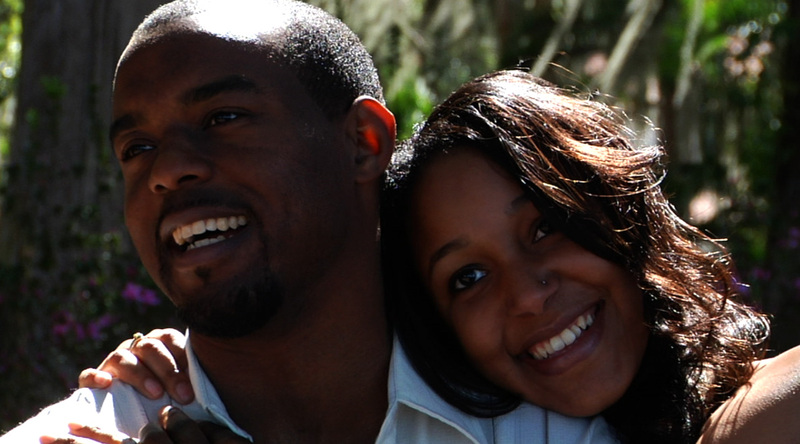 Cortez currently plays football for the Florida Tuskers and is also working on his MBA at UCF. You can follow Cortez and BIC on Twitter @BlackIceConcept. Teaser trailer for the upcoming short film Present Tense. This is the final part in a trilogy of shorts from Skeleton Key Productions. Today we did the final shots for the short film “Sintroduction.” This is based on a true story about a man that turned to church to find his was after witnessing a brutal stabbing down in Miami. The post production should be completed very soon with a local premier on July 23rd. Below is a screen grab of a graveyard scene in which one of the people that passed away was visited by his girlfriend and her best friend. This weekend I traveled up north to shoot more freestyle motorcycle battles for XDL at the Nashville Superspeedway. I got in on Thursday night and went directly from my hotel to a bike night exhibition at Scoreboard Bar & Grill. It was an interesting night to say the least. They had a dance contest and the winner was a hyper midget who called himself “Lil’ Yoda.” The weather on the track the first day was almost 110 degrees. We had 3 cameras set up on opposite sides of the track shooting the competition all day long. With all the crazy tricks being preformed it was amazing only one person got hurt. The most interesting event by far was “longest stoppie” wherein the rider can get up to speeds of over 130 mph and then hits the front break, riding a front wheelie for as long as possible. 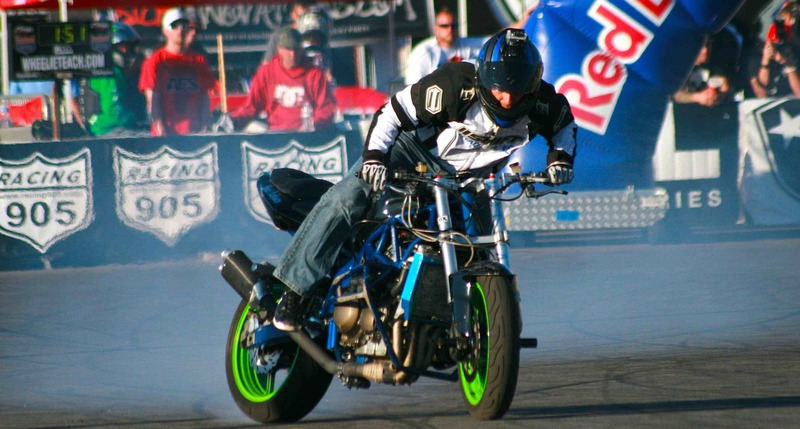 The winner was Jesse Toler, who managed to ride an amazing 964 foot stoppie. More information about the weekend can be found here. Above is a picture I took while the riders were practicing. This week I headed back down to the Orlando Convention Center to shoot for seasoned stuntman, Clint Carleton (“2012,” “Twilight,” “The Lord of the Rings” trilogy). Clint has begun a journey traveling the globe, talking with people that are on the path to enlightenment and see the world differently than most. 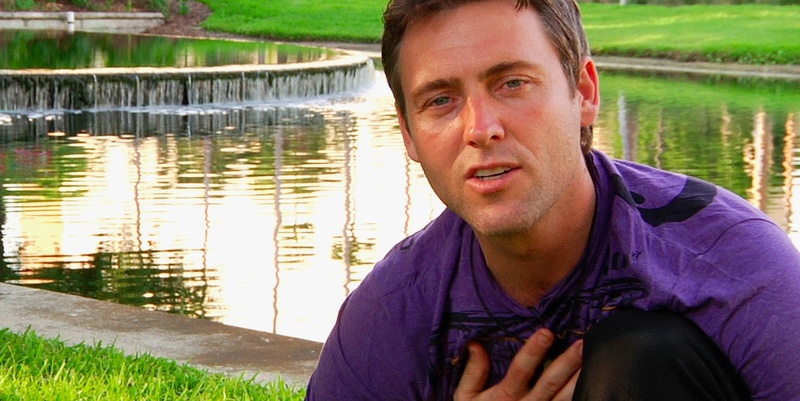 His show is called “The Soulful Guide” and his mission is to share other people’s teachings with the rest of the world. This week was the Qi Revolution convention and had over 2,300 attendees. The final day was brought to a closing by a mesmerizing demonstration by a Qigong master, Master Zhou. Zhou can do many extraordinary things and has the ability to hold molten medal as well as stay submerged in freezing water for hours. 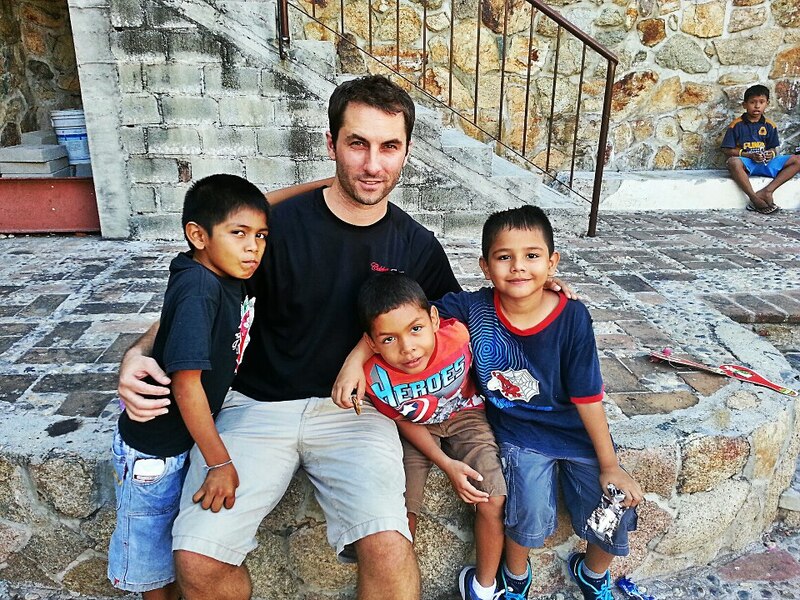 Good luck to Clint on his journey to share his experiences with others! Above is a screen grab of Clint by the pond at OCC. 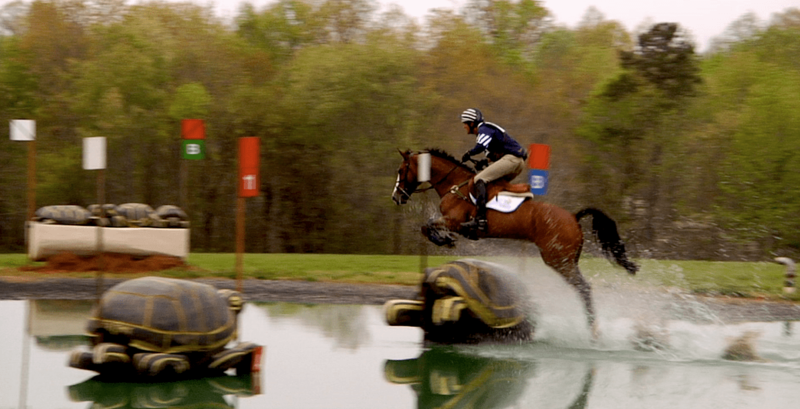 For the last few months I have been spending my weekends shooting equestrian videos for a company called Catchride. The competitions normally have three sections called “phases.” The first and and most relaxing to shoot is called dressage, which means training. The first out of state Shoot I had was in North Carolina at a huge ranch called The Forks, which has been around since 1748. 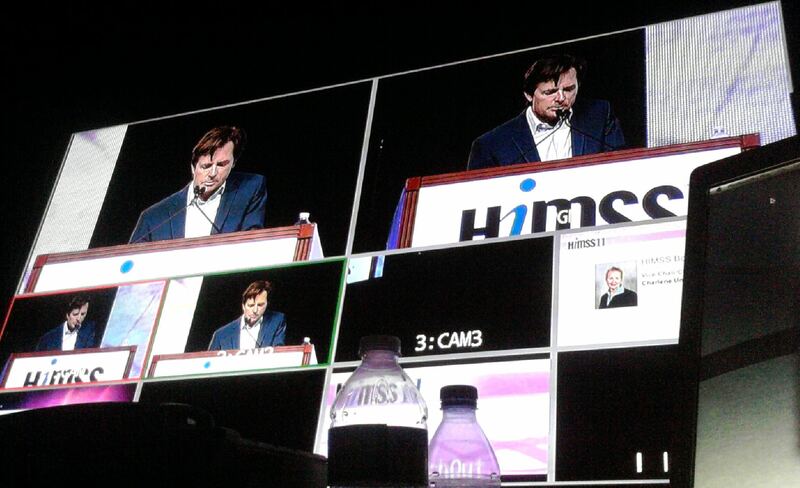 This week I had a fun gig that started with being a studio cam operator for the opening stage of the Healthcare Information and Management Systems Society (HIMSS) 2011 convention. The rest of the event I was the shader in control of the CCU for the show. Throughout the week I worked backstage for audiences of 500 to 5,000 people. The last day had Michael J. Fox as the keynote speaker. He talked about when he first got Parkinson’s disease and how he tried to cover it up for years before finally coming out with it. Now he is the poster boy for leading the way in Parkinson’s disease research and the search for the cure. This cause is magnified in importance to me personally because my uncle has been living with it for almost 20 years. This event was a great experience and I am grateful I was brought on to help such a large convention. Today I headed to Kraft Azalea Gardens in old Winter Park to shoot the Valentine’s Day wedding of DeNarius and Michelle Thomas. The weather was nice but a little breezy, all in all I got some nice video shots of them after the ceremony.